The Mirage aerator for a pond generates bubbles and ripples on pond surfaces, circulate and improve the quality of your pond water. The Mirage aerator for a pond generates bubbles and ripples on pond surfaces and improves the quality of your pond water. 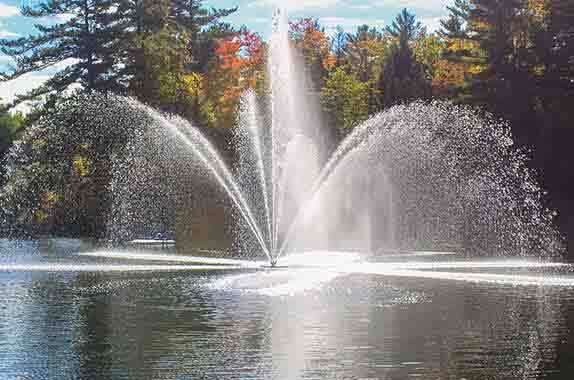 The Arbrux Mirage aerator for a pond spray pattern is a low profile pattern. With a 2 HP motor the aerators spray height is 3 feet and the width is approximately 5 feet. All pond aerators are built with quality components. They are virtually maintenance free and built to last.